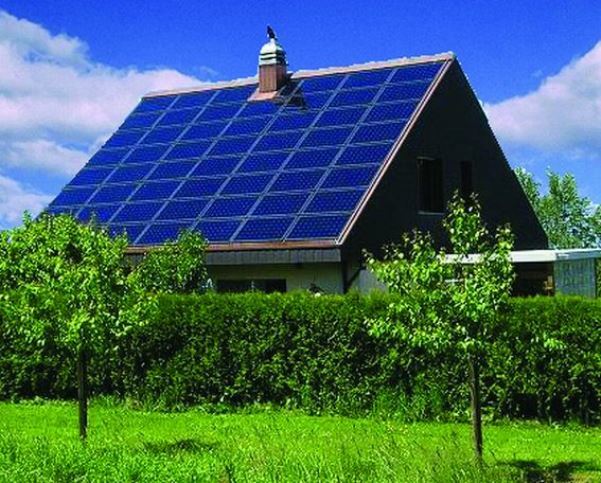 So you decided to go green and establish an alternative source of energy in your country cottage or at home. Alternative sources of energy is a little expensive decision but besides the impact to the environment, you also stay independent from city services that tend to be out of service when you need them the most. Before rejecting city services and making the final decision, you have to think about lots of things including budget and steps of realization. We will help you with it. There are a lot of ways to get the energy. Here we will consider the most common alternative sources of energy for home. All kinds of solar plants are using sunlight as an alternative source of energy. Radiation from the sun can be used for heating and for electricity (via photovoltaic cells). Advantages of solar energy include its renewable nature, absense of noise, and no harmful emissions into the atmosphere during the solar radiation process compared to other forms of energy. Disadvantage is that the intensity of solar radiation depends on the daily and seasonal rhythms, as well as the need for large areas to install solar power systems. Also photovoltaic cells are manufactured using poisonous and toxic substances, which is problematic when it comes to disposal. One of the most promising sources of energy is wind. The principle of the wind turbine is elementary. Wind power is used to drive the wind wheel. This rotation is transmitted to the rotor of the electric generator. 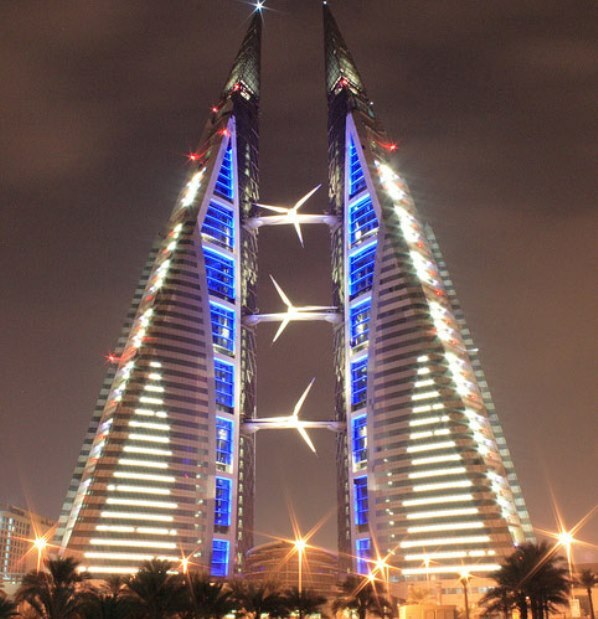 One of the largest trade centers in Bahrain uses this type of energy. 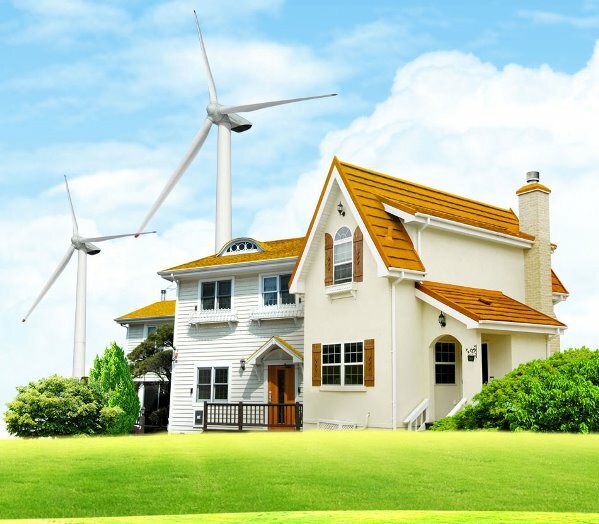 The advantage of the wind generator, first of all, is that it can be considered as an inexhaustible source of energy in windy locations. In addition wind turbines produce energy that don’t pollute the atmosphere with harmful emissions. Disadvantages of this wind energy are the volatility of wind weather and low power of a single wind turbine. Also wind turbines produce a lot of noise. So usually it is used in building away from the areas of human habitation. A huge amount of heat energy stored in the depths of the Earth. It is due to the fact that the core temperature of the Earth is extremely high. In some places of the world magma of high temperature gets out straight to the Earth’s surface: the volcanic areas, the hot springs or steams. These geothermal energy sources can be used as an alternative to conventional power. Geothermal sources are used in different ways. Some sources are used for heating while others to generate electricity from heat. 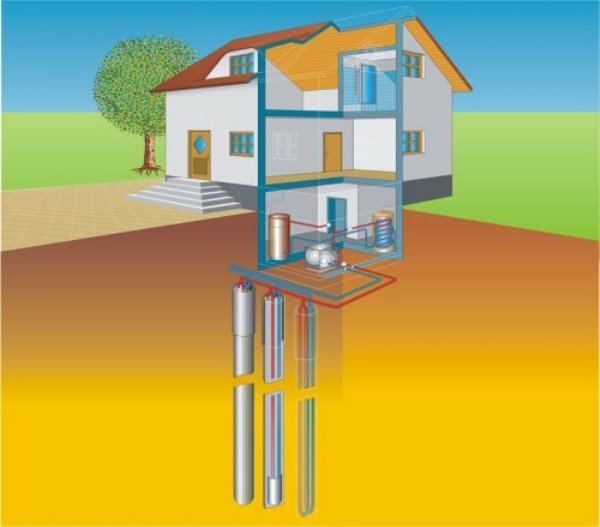 Advantages of geothermal energy are inexhaustibility and independence from time of day or season. On the negative side there is a highly mineralization of thermal waters. In many cases they are saturated with toxic compounds. It makes impossible to reset thermal wastes into the water’s surface. Therefore the wasted water must be pumped back into the ground. In addition some seismologists are opposed to any interference with the deep layers of the Earth, because it could trigger earthquakes. For the second part, please, follow the link.